It is wrong to think that external intervention is always bad. Flipkart will benefit from Walmart’s deep pockets and its expertise in food, and in offline stores. In the aftermath of the purchase of, or investment in, Flipkart by Walmart, a surprising number of laments have sprung up in the media. These, broadly, cover three aspects: Indian regulatory restrictions, Loss of control to multinationals, and destruction of the Indian start-up ecosystem by greedy “evil foreigners”. Valuations of companies like Amazon and Flipkart do not follow the normal return-on-capital models. No Indian company like Biyani’s Future Group, Birla’s More or Ambani’s Reliance Group would have paid such a high price for Flipkart. Flipkart is still in the cash-burning mode. Walmart has decided a price based on their strategic considerations. They need access to the fast-growing Indian retail market. Flipkart will benefit from Walmart’s deep pockets and its expertise in food, and in offline stores. It is probably extremely unlikely that anybody else (except Amazon to deny Walmart entry into India) would have come up with a comparable price. Another factor, which seems to have been completely missed the media, is the possibility of bigger restrictions on the use of data by companies. Facebook and Twitter are already facing the heat internationally for unauthorised use of customer data. More recently, media reports suggest that the Australian government is investigating if Google drew data from customers without permission. Whatever be the immediate outcome of these enquiries, it is reasonable to assume that there will be greater control over the use of data collected by companies. That is bound to have an adverse effect on valuations of data-holding companies. So companies interested in Flipkart’s data alone are unlikely to pay a big price to acquire Flipkart. Second, as a corollary to this being a strategic investment, Walmart would have no interest in Flipkart if they did not get control over its operations. 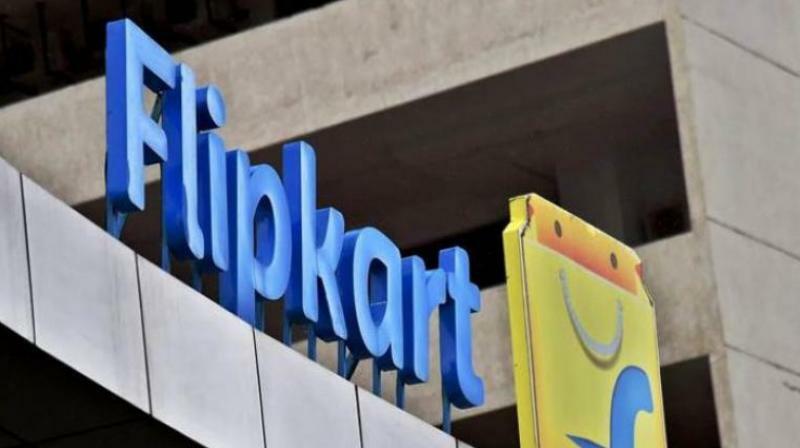 It, therefore, does not make sense to talk of Indian regulatory restrictions at least in the context of the Flipkart-Walmart deal. Even badly designed taxes like the Angel Tax and the attempts to tax the offshore Vodafone deal have not proved to be big deterrents. In other deals like Ola and PayTM, there is no data that suggests that control has been wrested away from the promoters. Ola, in fact, is aggressively following its global expansion strategy. Even more ironically, as an outsider, it seems to me that the control brought in by the foreign investors, by bringing their own leadership in Flipkart, helped that company to turn around and become an attractive buy opportunity for Walmart. So it is wrong to think that external intervention is always bad. There is also an assumption that Indian start-ups will be able to get larger or better valued funding from foreign investors under a regulatory regime that keeps control with the founders. Where is the data to support such assumptions? Perhaps, the most surprising claim is that of the death of Indian start-ups due to foreign buyouts. If I was an entrepreneur burning cash, I am unlikely to be disheartened by large infusions of cash, foreign or Indian, in other companies. Watching other companies being bought out to make their founders US dollar billionaires is more likely to make me work harder on my start-up, and a widening of the pool of investors, irrespective of their origin, will only make me happier as I am more likely to get a competitive offer. Assuming, as the worst case, that all fast-growing start-ups get investments from abroad, all that will happen is that even more, better start-ups will spring up. The Indian start-up ecosystem is not dependent on a handful of start-ups. It is vast, and growing rapidly. The number of Indian start-ups is estimated to grow from about 4,200 now to over 11,000 by 2020. It is wonderful that foreign investors are pumping in cash into many of these startups. Why is this any different from FDI, increases in which we celebrate? There is no need for undue pessimism.